It’s often said that somewhere between Frank and Royère sits the great unknown decorator: Marc du Plantier. Almost a decade ago, I was Living in Madrid and working on a residential project for which I was looking for interesting pieces of 20th Century furniture. I would visit the showrooms of the local dealers where, in my broken understanding of Spanish I would sometimes hear the French name, du Plantier. Since then, I’ve paid attention to any mention of his name and a couple of years ago, was thrilled to be given a book on his work, albeit in French. You don’t need to understand the text, however, to realise the genius and talent of Marc du Plantier. It’s there in the archive of photos and illustrations. Like so many other 20th Century designers I admire, Marc du Plantier’s style developed from the ‘neo-classicist avant-garde modernist’ in the 1930’s and 40’s, to something more abstract from the post-war years until his death in the 1970’s. And no wonder – after a stint in Algiers he spent the war years ‘in exile’ in Madrid before returning to Paris, and later travelling to Mexico City and Los Angeles where he had showrooms in the 1960’s called Artedécor. Marc du Plantier life was uprooted time and time again because of work, war and financial necessity, like most European designers of that time. Socially well connected, Marc du Plantier worked for the aristocracy, banking and industrial elite of the day (he completed full interiors for Henry de Rothschild, Juan March and Ali Khan, to name a few) as well as set design for the Comédie française, and furniture for both the Elysée Palace and the new French Embassy in Ottawa, Canada. Apart from the sheer beauty and simplicity of every du Plantier piece, I particularly love his sense of scale and proportion, his preference for natural materials (wood, stone and wool) and the beautiful progression he made, for example, from the Egyptian claw-footed oak armchairs of of the 1930’s to the green-patinated steel armchairs of the 1950’s – both so different in every possible way but equally sublime. Often compared to his French contemporaries, Jean-Michel Frank and Jean Royère, I can also see similarities between the work of Marc du Plantier and T.H. Robsjohn-Gibbings (see previous blog post). Both were heavily influenced, particularly in the 1930’s and 40’s by the classical world and yet seemed to flourish in the freedom and modernity of the second half of the 20th Century, although du Plantier never did the mass-produced thing as Gibbings did in the 1950’s and 60’s. 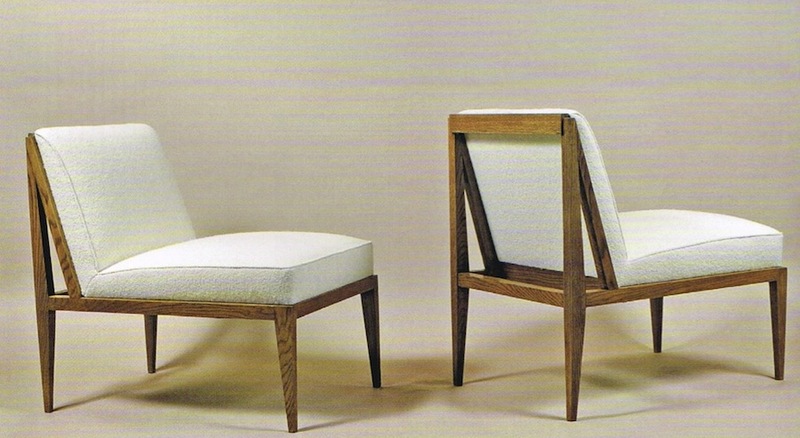 Here are just a few examples of the furniture and interiors of Marc du Plantier. I hope you find his work as beautiful and inspiring as I do. 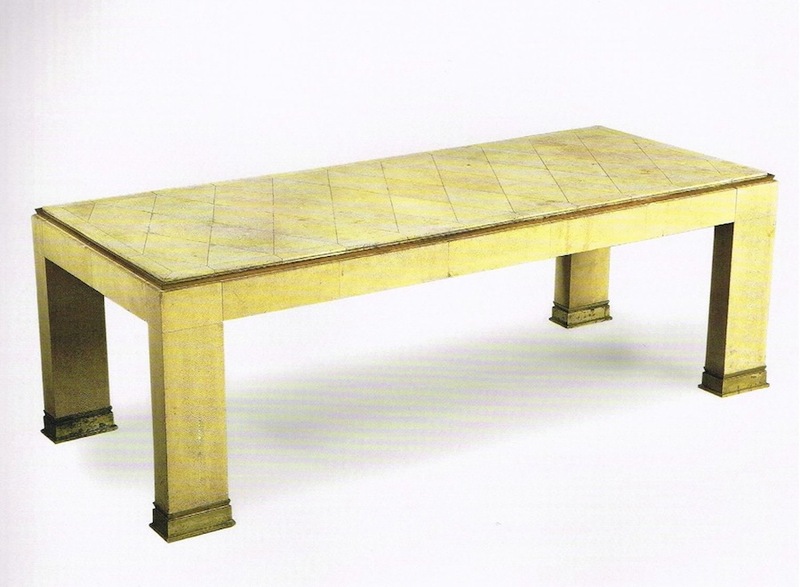 Table in shagreen and bronze by Marc du Plantier, 1930 (from the collection of Yves Saint Laurent and Pierre Bergé). 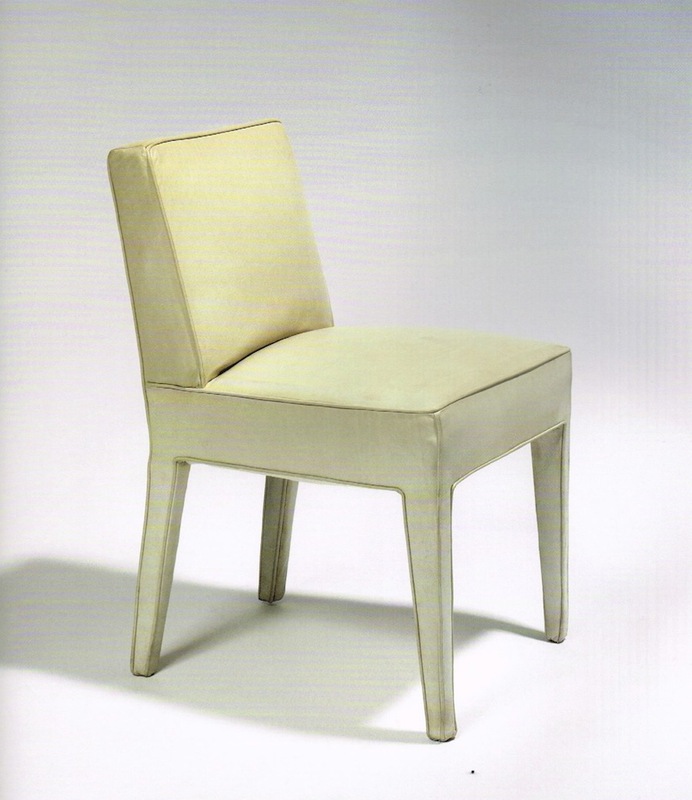 White leather-clad chair made for the apartment of Jacques Faure, 1931. 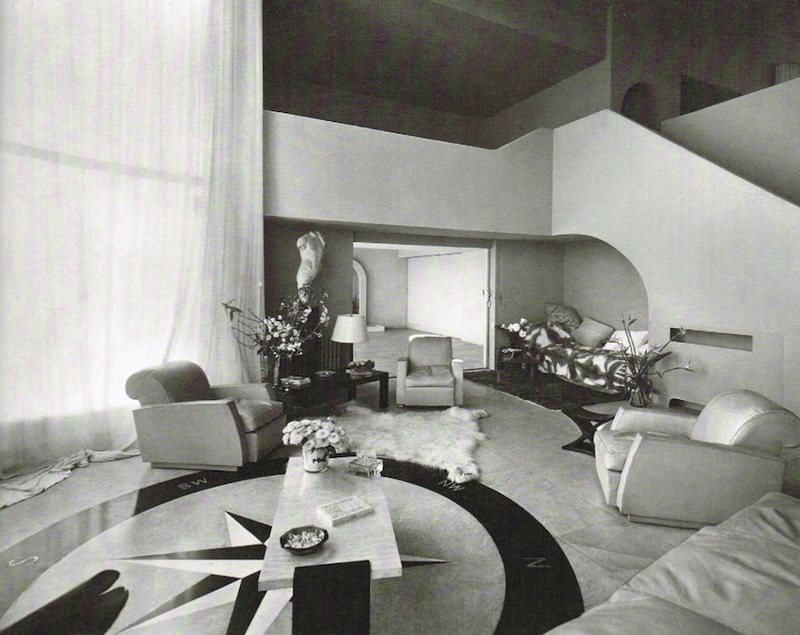 The round entrance hall of Marc du Plantier’s apartment in boulevard Suchet, Paris, 1936. 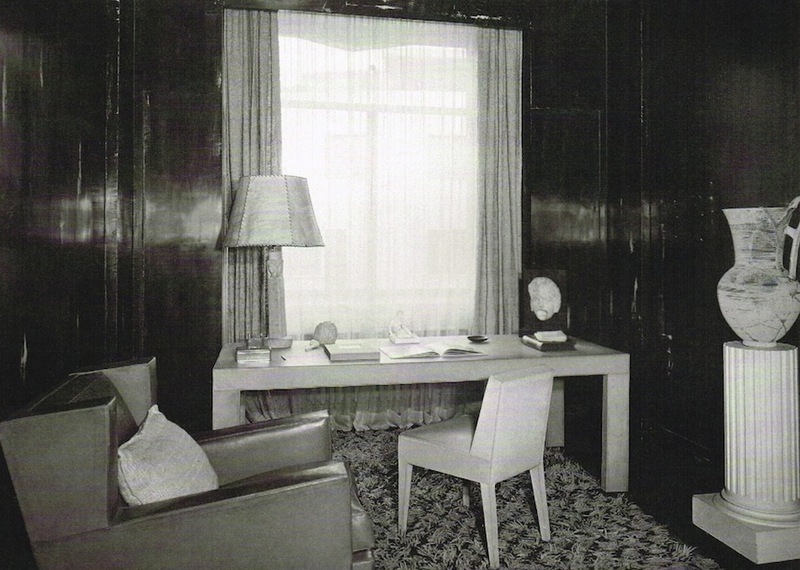 A parchment covered desk in Marc du Plantier’s study, boulevard Suchet, Paris, 1936. 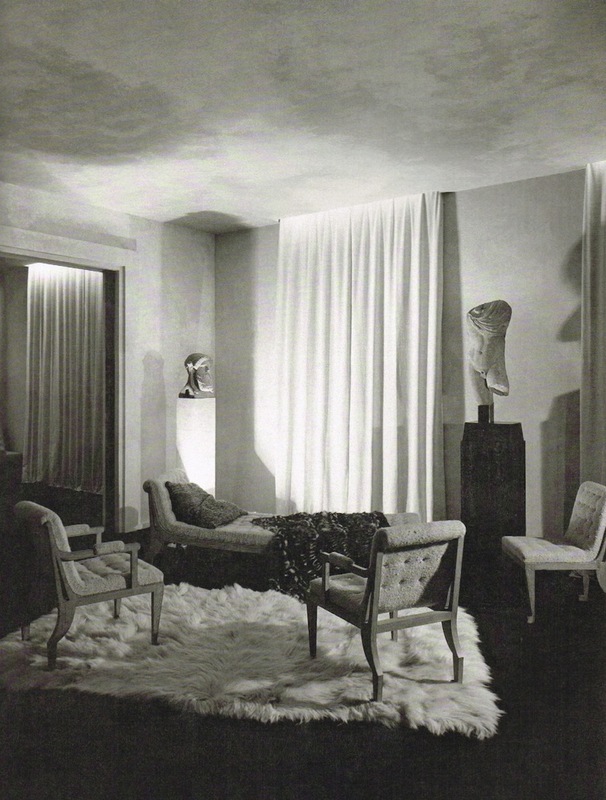 A view of the small salon, home to Greco-Roman sculptures and a suite of Marc du Plantier’s Egyptian seating, Boulevard Suchet, Paris, 1932. 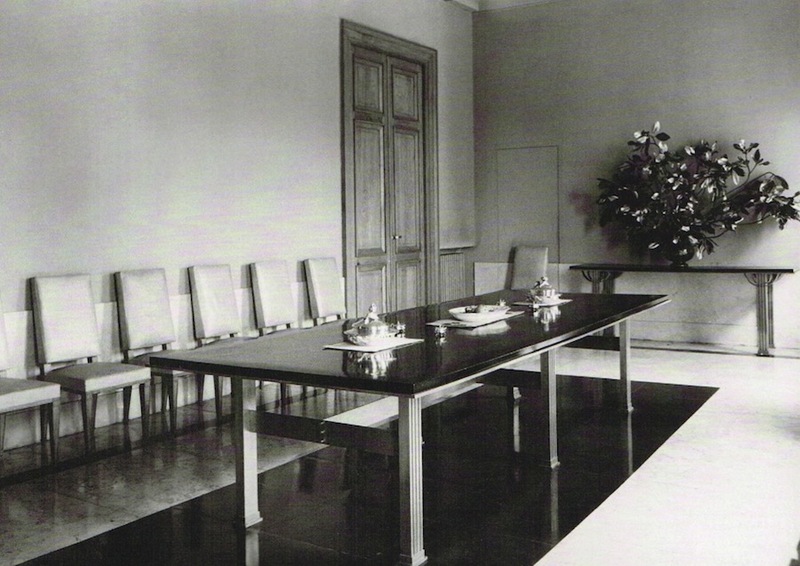 The dining room of Mme Anatole Muhlstein, Paris, 1933. 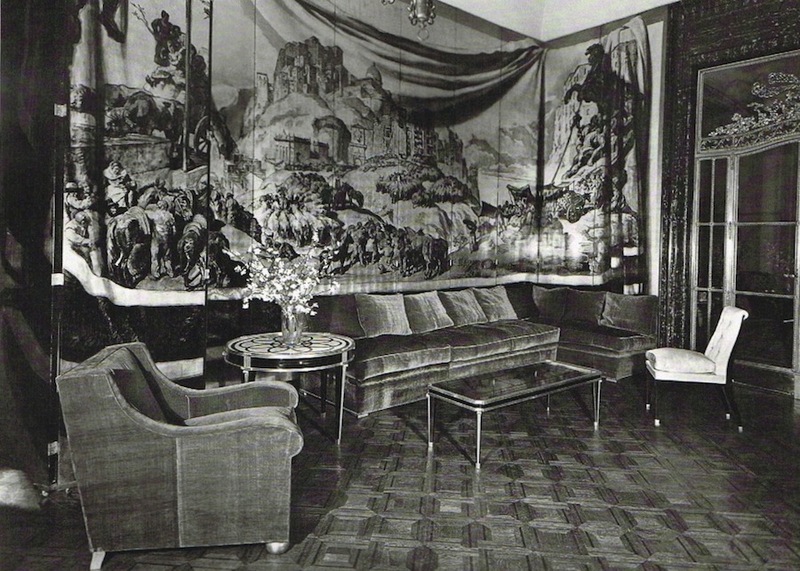 The living room of the apartment of Robert Germain, Algiers, 1935. 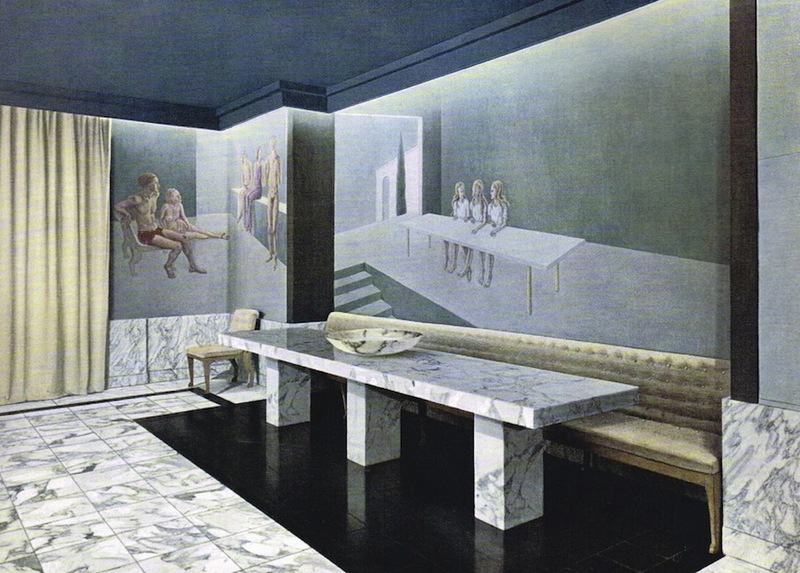 An illustration of the dining room of Marc du Plantier’s apartment in rue de Belvédère, Paris, 1935. 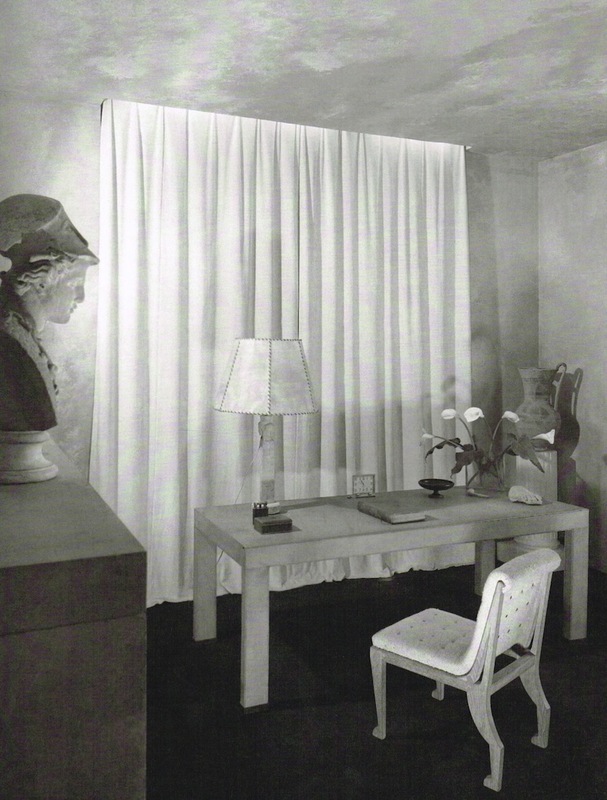 Marc du Plantier’s bedroom, rue de Belvédère, Paris, 1935. 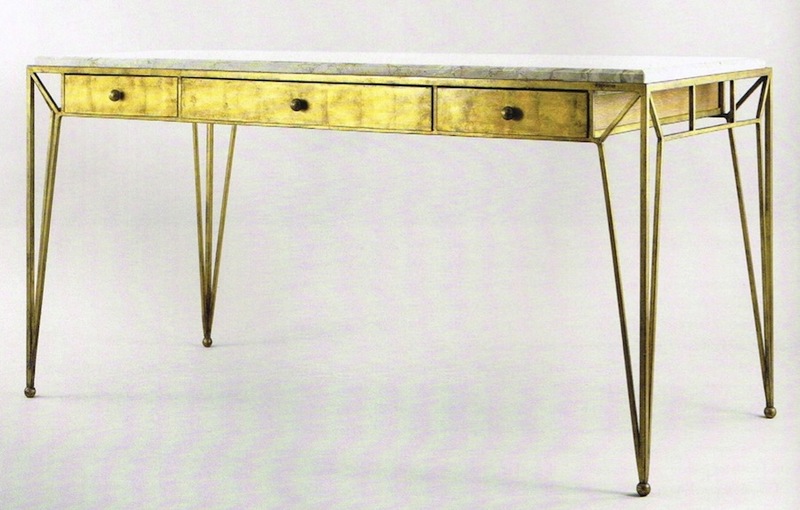 Gilded iron table by Marc du Plantier for the home of Jacques Heim, 1936. 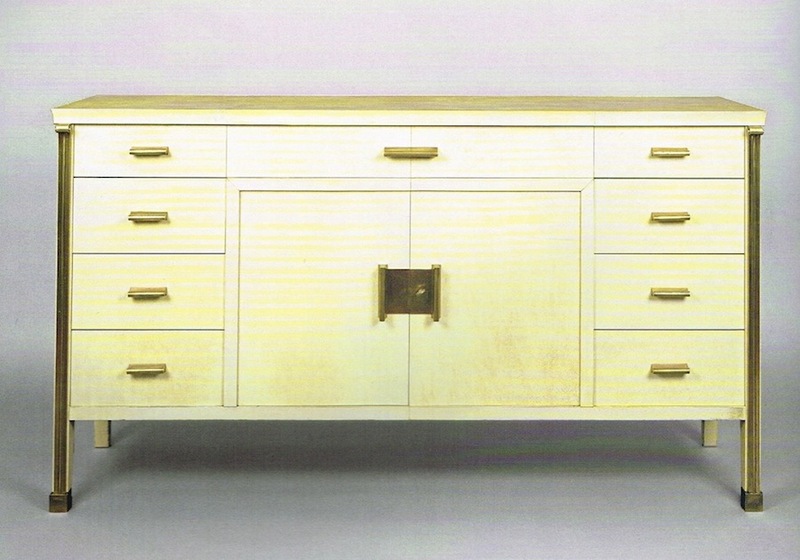 Sideboard in parchment and gilded bronze by Marc du Plantier, 1939 (Galerie Yves Gastou, Paris). 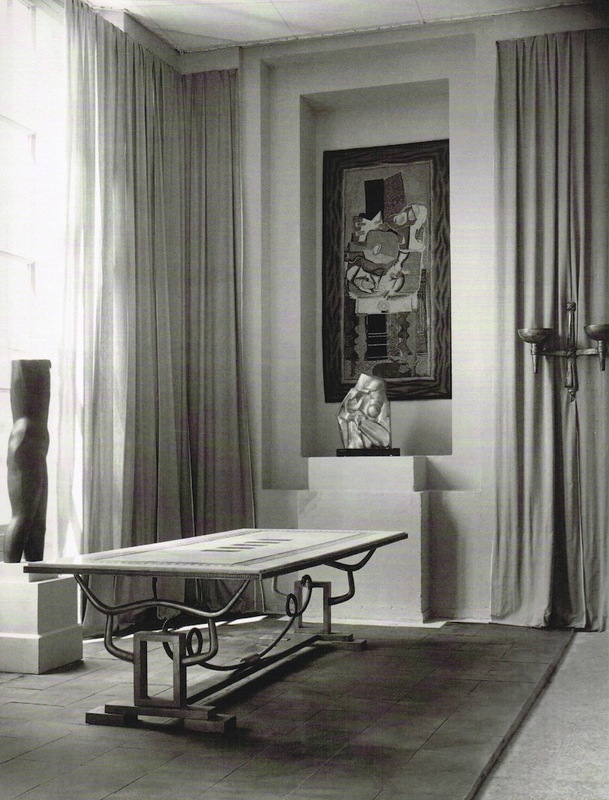 One of du Plantier’s first commissions ‘in exile’, the apartment of the comte de Elda, Madrid, 1940. 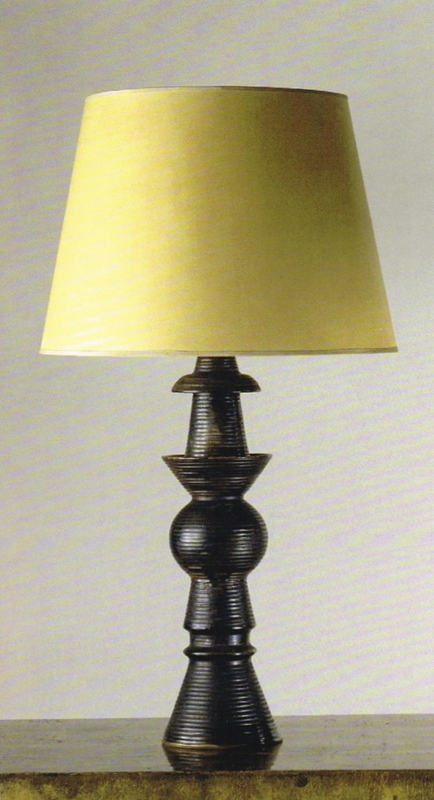 Marc du Plantier table lamp in black-glazed terracotta, 1940 (Galerie Yves Gastou, Paris). 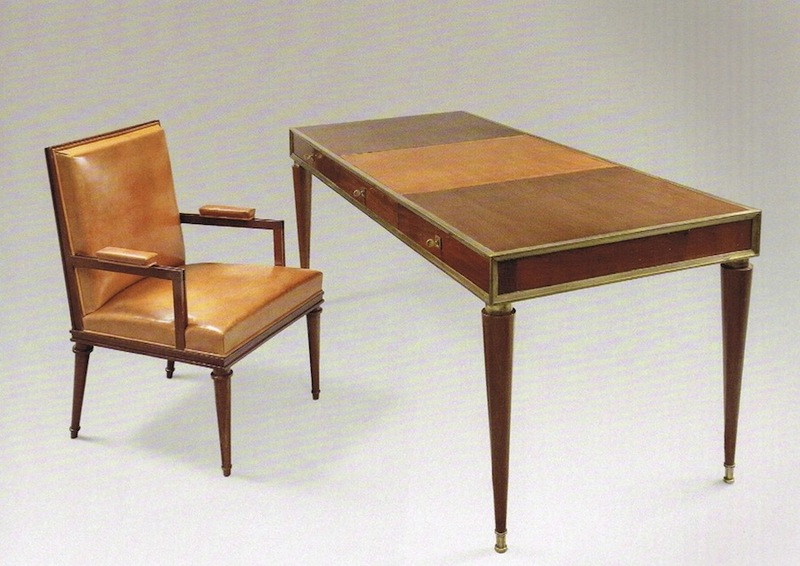 Desk in mahogany, bronze and leather with matching armchair by Marc du Plantier, for the apartment of the Marquise de Morbecq, Madrid, 1941. A corner of the music room in the home of Juan March, Madrid, 1945. The magnificent murals are by José Maria Sert. 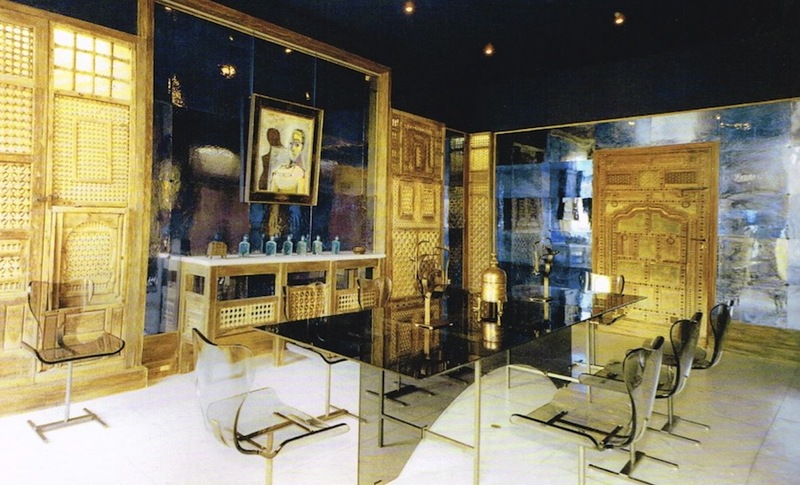 Soon after returning to Paris, du Plantier exhibited at the Salon de artistes décorateurs, 1949. 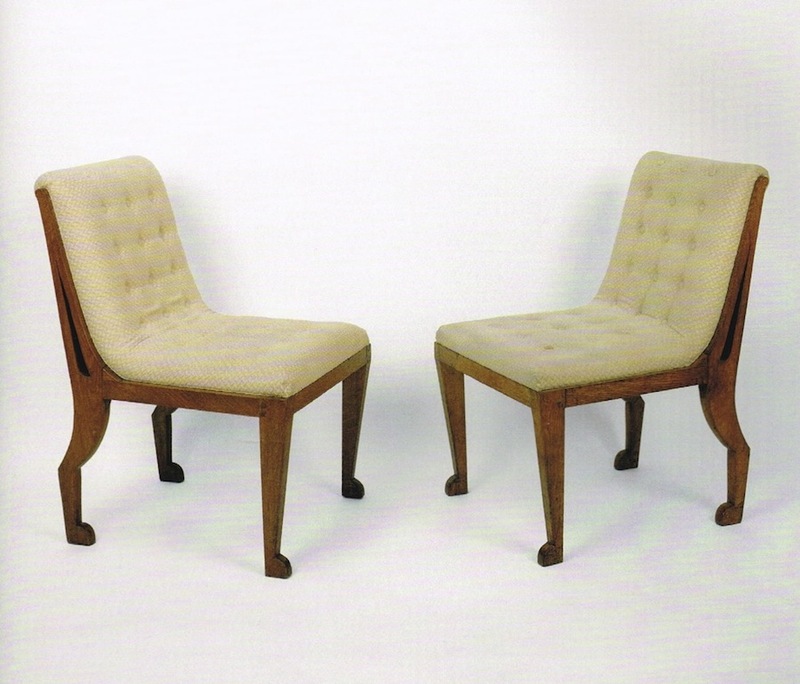 Pair of Egyptian inspired oak slipper chairs by Marc du Plantier, 1952 (Galerie Anne-Sophie Duval, Paris). 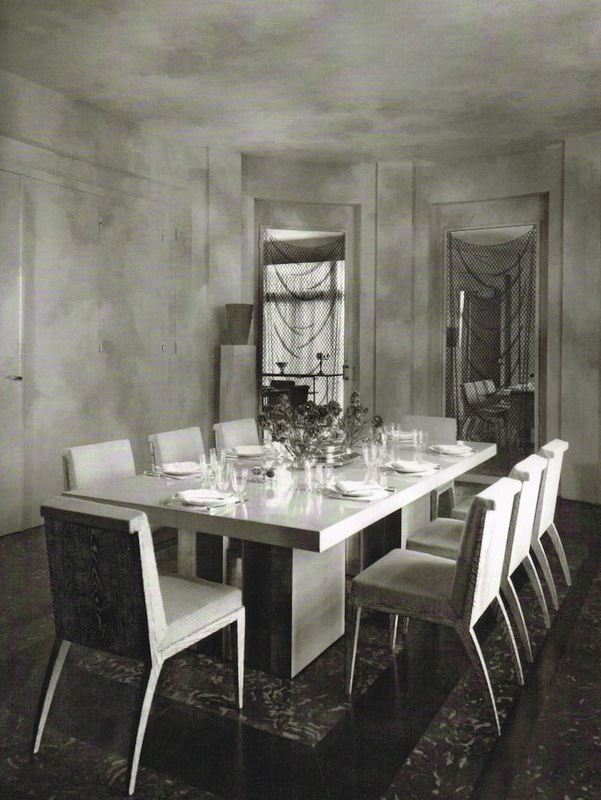 An image of a dining room featuring du Plantier’s gilded and green-patinated iron furniture for Plaisir de France, May, 1956. 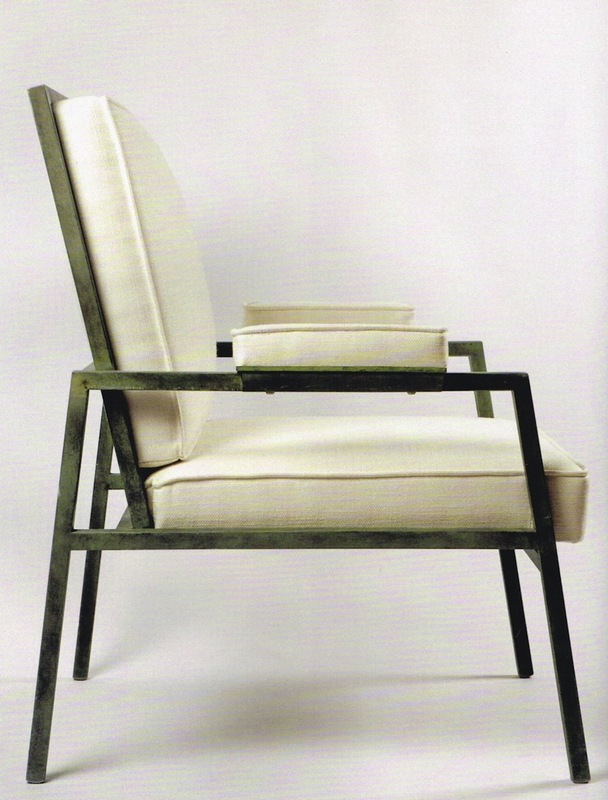 Marc du Plantier’s armchair in green-patinated iron armchair, 1954 (from the collection of Patrick Despature). 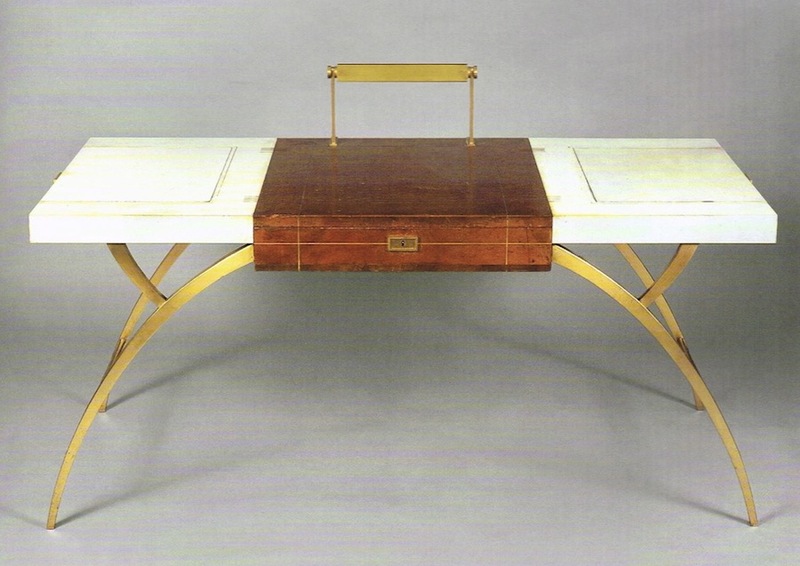 Games table in parchment and leather with gilded iron legs, 1957 (Galerie Jacques Lacoste, Paris). 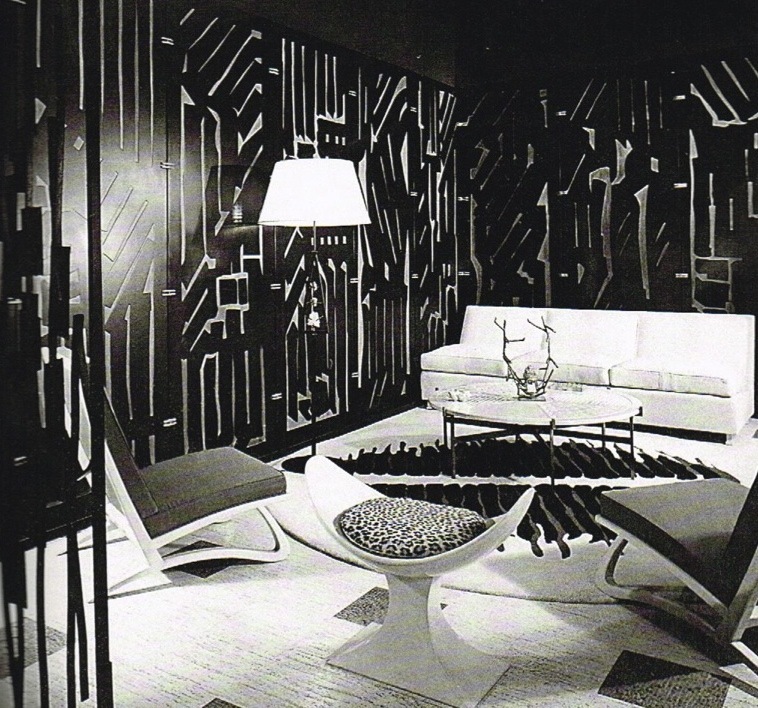 The evolving décor of the living room of Mar du Plantier’s rue du Belvédère apartment, Paris, 1960. 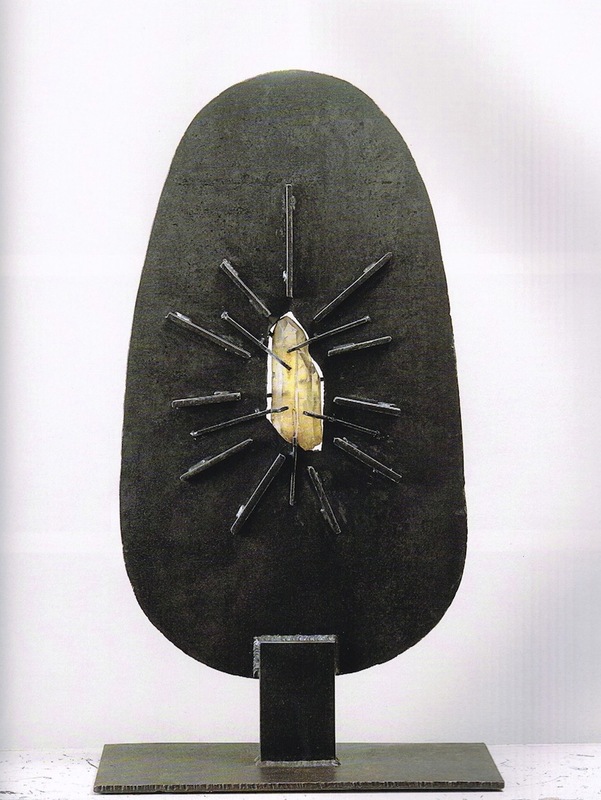 A sculpture (du Planiter was also a painter and sculptor) presented at the Marc du Plantier exhibition at the Galerie Alonso Souza, Mexico, 1962 (the sculpture was bought by Florence de Montferrier). 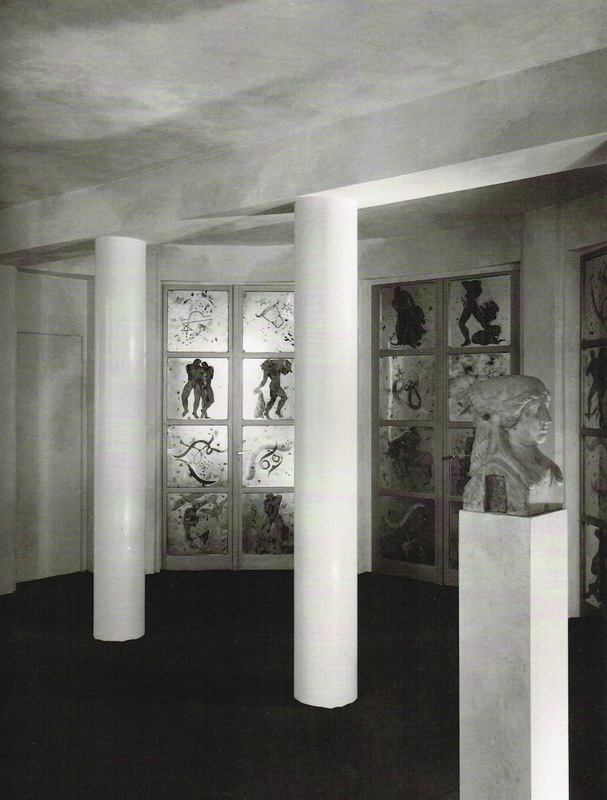 Marc du Plantier’s Los Angeles Gallery, Artedécor in La Cienega Boulevard, 1964. 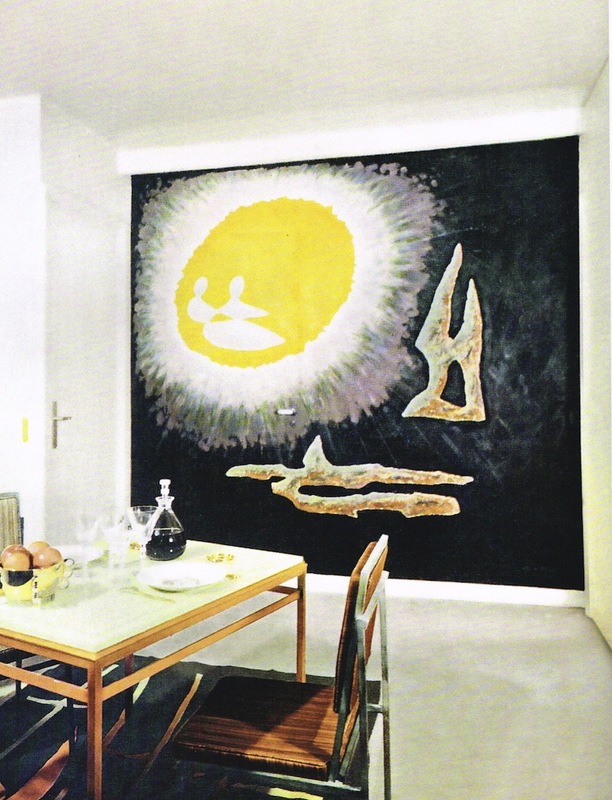 Dining room for Maurice Rheims, 1971, where we see a slight departure from du Plantier’s love of only natural materials. 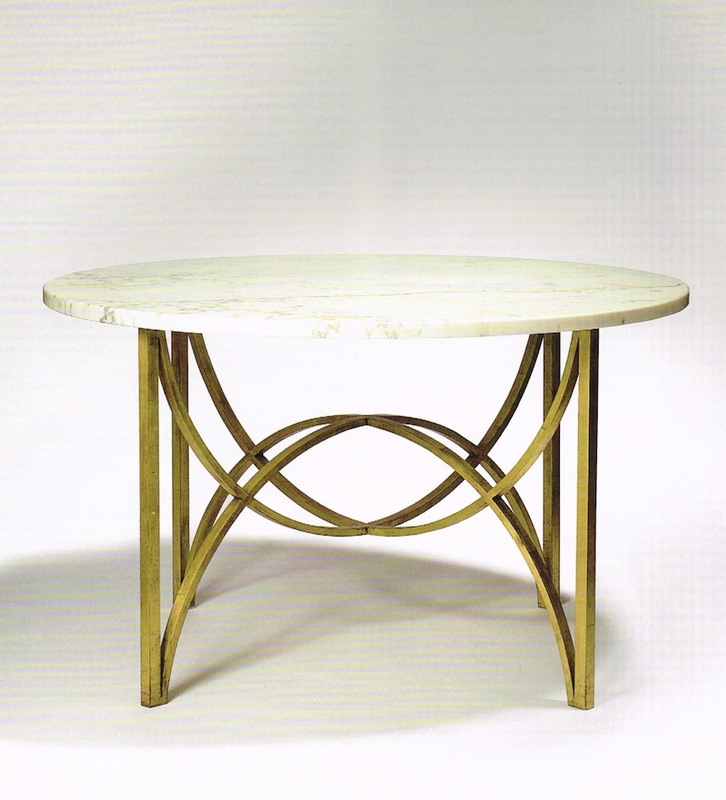 Round table in gilded bronze and white marble by Marc du Plantier, 1959.